Dual buckle sling harness allows for comfort and security. Large zippered compartment with zippered mesh pocket for handy storage of accessories. 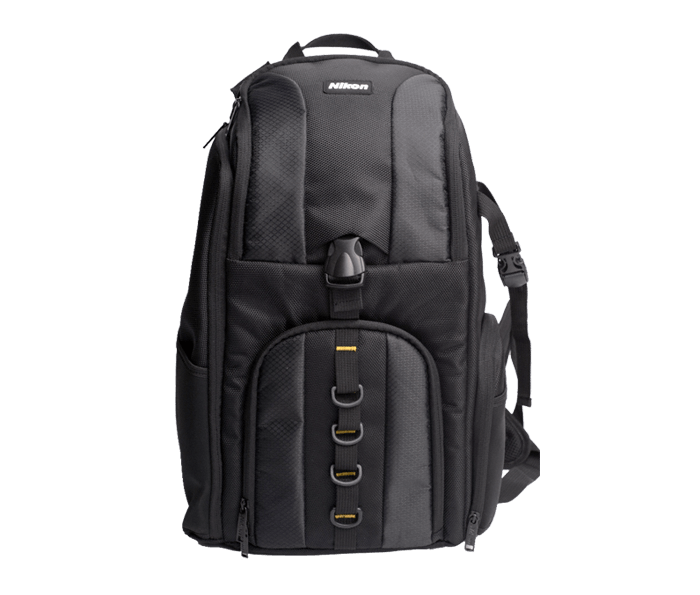 Zippered side compartment for quick access to accessories, lenses or flash. Built-in rain cover for added protection. Convenient mobile phone holder and snack pouch.